You didn’t think we were going to leave you high and dry for last day without a fun relay race to wrap up the season, did you? Not a chance! If you want a finish time you better start your own watch. We are not recording your times. It doesn’t matter. This is all about the costumes. You must have 4 people per team, 2 skating, and 2 classic skiing. 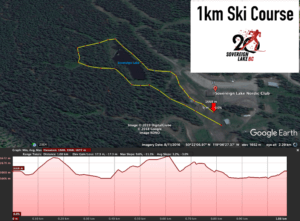 You only have to ski 1km each. Even the GM can ski that much. DRESS UP as your favorite ski nation. There are prizes for the best costumes. Bring a smile. This is the last day! Enjoy it. There will be random doping control throughout the event. Drink lots of water beforehand and if you come as Russia… you are a bit of a moving target. Join us afterward for cake and warm bevies in the lodge. Thank you for the AMAZING season ski friends. We can’t wait to see you at the start line…in costumes of course. Guess what……it is FREE for all club members. Are you a visitor? Show us your day tickets and there is no charge. Remember this is a dress up event to represent your favorite ski nation. It can be a made-up country as long as the clothing backs it up!